For the French version of this article, please click here. For six years, the USAID-funded Systems for Improved Access to Pharmaceuticals and Services (SIAPS) program has been working with Mali’s Ministry of Health and Public Hygiene (MSHP) to enhance governance and transparency in the pharmaceutical sector, strengthen the supply chain system for pharmaceutical commodities, and improve the tools that were developed for better decision making at the national and regional levels. 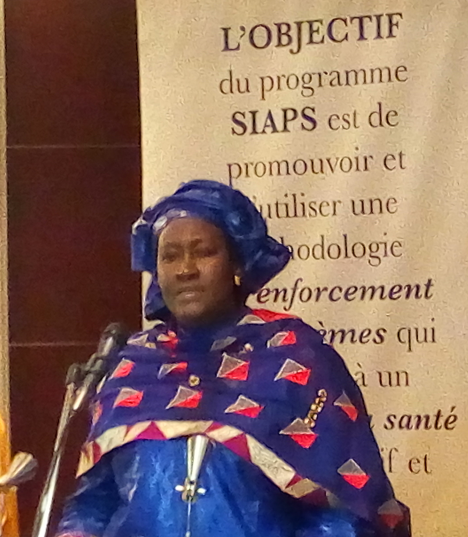 As SIAPS concludes its work in Mali, its accomplishments were celebrated at a closing ceremony in Bamako, December 20–21, 2017. The event was chaired by the Technical Advisor to the MSHP for pharmacies and medicines, Dr. Sékou Oumar Dembélé, and the USAID Deputy Director for Mali, Ms. Karen Koprince. In her remarks, Ms. Koprince acknowledged the support provided by SIAPS to the MSHP and its partners and highlighted the program’s many achievements despite the challenges it faced. Throughout the program, SIAPS supported the conception and dissemination of regulatory documents on pharmaceutical management, including standard operating procedures, a strategic plan for the Pharmacie Populaire du Mali (PPM), supervision guides, a guide for the storage and warehousing of medicines, and a road map for the supply of essential medicines. SIAPS successfully monitored the training, supervision, and coaching of all actors in the supply chain system for the management of essential medicines, the purchase of a warehouse to increase the space and storage conditions for the purchasing unit, and the development of a mechanism to monitor and manage the use of antimalarial commodities. 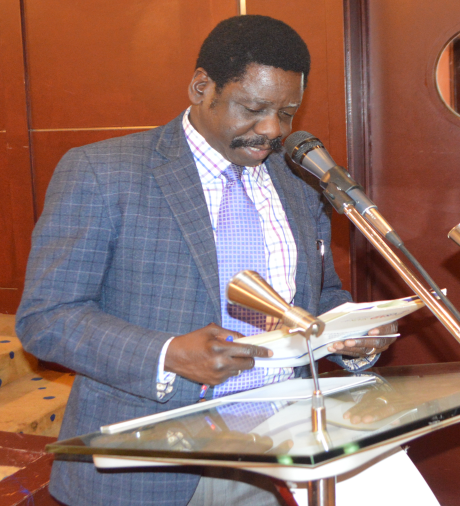 The program also supported the implementation of innovative and scientifically proven tools for quantification of pharmaceutical products (Quantimed and reality check) and reporting of commodities for better decision making (OSPSANTE). Ms. Koprince assured the Government of Mali that the United States would continue its support to strengthening the pharmaceutical sector in Mali. SIAPS’ acting Country Project Director, Dr. Safoura Berthe, presented some of SIAPS’ key achievements, and her remarks were well-received by attendees. 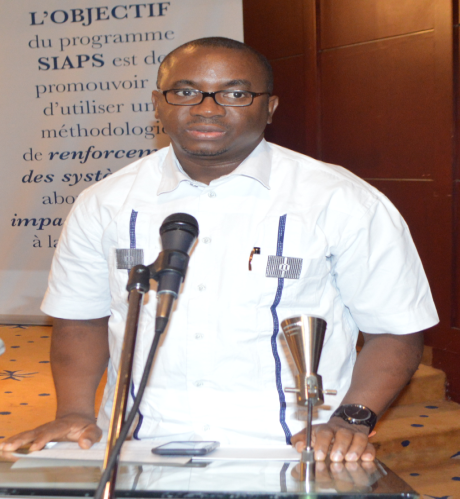 The Director of the Programme national de lutte contre le paludisme, (PNLP), the CEO of the PPM, and the Deputy Director of the Direction de la Pharmacie et du Médicaments (DPM) also spoke on progress made through SIAPS’ expertise.